KennyK`s new release of the 3 coolest digis ever!!!!! Digi Stamp: KennyK: Savannah Belle colored with Distress Ink Reinkers. On the front, I first glued on mesh, die-cut gears and thread before I put on the metal tape. Then, acrylic paint in white, gold, copper and black. And a touch of glimmermist and an old earring. Dies: Spellbinders and Tim Holzt. Tekst: Whiff of Joy with heat, gold embossing powder. 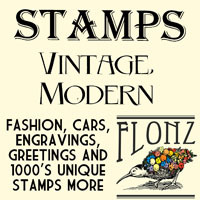 Flonz has beautiful silk tassels, boarders, dividers, frame stamps, & more! Oh wow Karin, so much of gorgeousness going on here. So love the rich metallic feel and your stunning colouring as always. Its realy realy gorgeous Karin, soooooo beautful card. Karin, this is incredible!!! So gorgeous and eye-catching! Your coloring is stunning and I love the painted and misted background! Lækre og seje kort du laver Karin!!! Wonderful card to share with us over at My Sheri Crafts this time. Great use of image and fab background too. Boah, Karin, this is simply amazing! The stamp itself is great, but what you created with it is fantastic! Wonderful card! Love all the sparkle! Thanks for joining us at My Sheri Crafts! Lekkert kort. Takk for at du deltar hos oss i HobbyHouse challenge. This is wonderfully and beautifully Steampunk! I love the way your card sparkles! Thanks for joining us at My Sheri Crafts. Awesome!!! Thanks so much for participating in our PILE IT ON challenge!! Hope to see you again for our next challenge! !